In my head I always think that July and August are my favourite months, followed shortly by December but when I think about it maybe that’s a little too typical and as they are expected to be all things wonderful, what goes down in the summer can make or break a year….pressure or what? The month of May is like July and August’s more unassuming and gentle cousin, that just suddenly arrives, almost unnoticed, until you start to realise the subtle changes she brings with her. The first of those cups of tea in the garden, the flowers budding, the grass and all things leafy are as green as green, and always such a welcoming surprise. So a month to be preparing for what might come, a month to be quiet and enjoy to the now and the sunshine, no big plans just soaking up the small things in a #monthoflovely. Almost the calm before the storm, although not too many of those this summer please…. So in all things lovely I thought I’d share with you my unassuming go to May beauty products that make me feel happy, just snapped around my little house, while I indulge in the month of May. On return from Bali, my skin seemed to take a bit of a turn for the worse. I think sun and saltwater are a tonic for the skin for the first few days but then it seems to negate what is has done, applied with too much greasy suncream, long haul flights, dehydration and of course the indulgence of too much food and cocktails, just finishes it off. So I thought I would invest in a new daily face cream and give my face some respite and tonic. Having had my eye on this day cream, since I heard Jennifer Aniston was a fan, (literally if she shaved her hair off I think I would too), I looked into it and gave it a go. 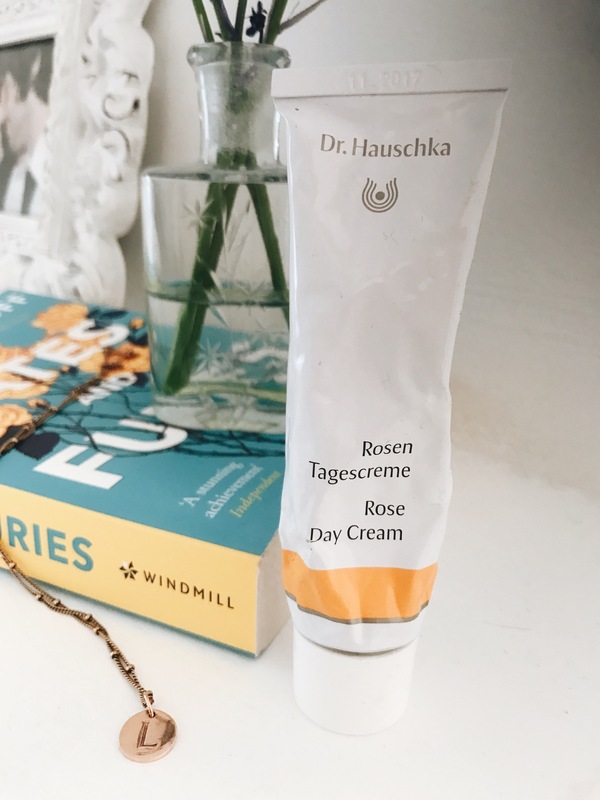 It smells of roses and all things summer, it is thick as thick and soothes as you apply, literally my skin just soaks it all right up – lovely! 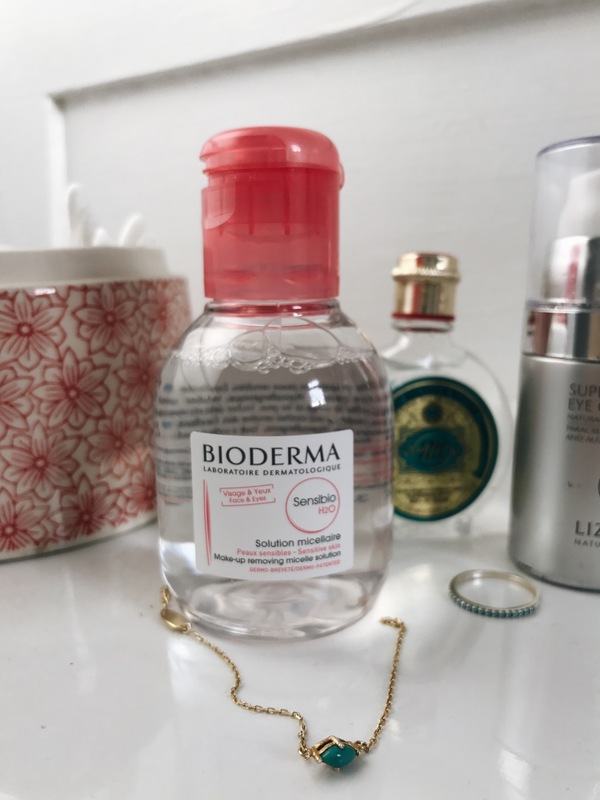 I have to say I am super impressed with this product from Bioderma, I have been pretty loyal to one brand of eye make up remover for years but I think this has now done it for me. The H20 micellar water is really gentle and soothing, so great for those with sensitive skin and doesn’t sting the eyes, which I find some products can do. It’s calm and cool on application and mostly importantly it does the job. I spend ages trying to take off my make up with remover to then shower with facial washes etc, 8 hours of sleep later, a morning shower, and still mascara is half way down my face…..So this was the test and it passed with an A star! No water required, the price is also kind to the purse strings and well it’s in a pink bottle too, how more ‘May’ can you get…? I think May is a drip feed to the heightened summer and I naturally get pulled unconsciously to those garden aromas. 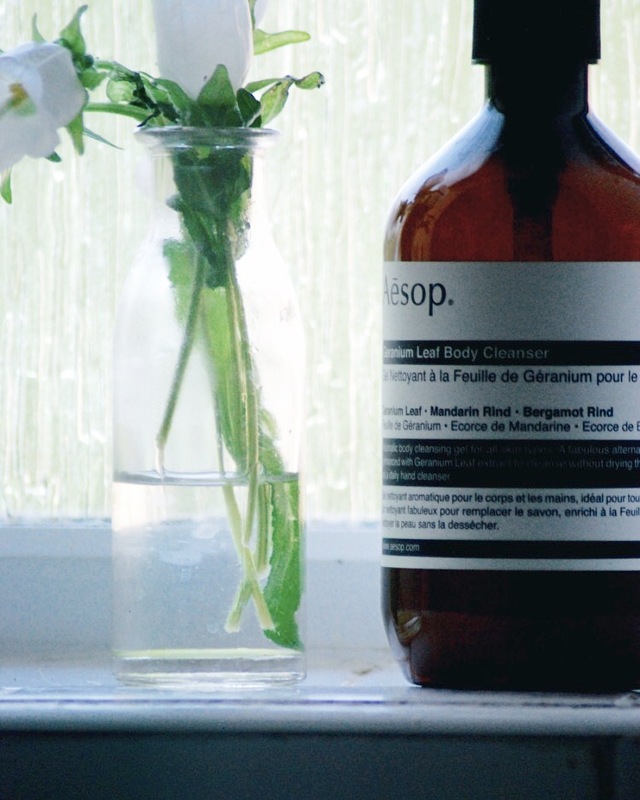 The Geranium Leaf Body cleanser from Aesop is great for bursting out those scents in the shower or when poured into a hot bath, it is thick but refreshing and doesn’t dry out the skin. Making your bathroom smell of all things green and fresh…. I could easily spend as much as my mortgage in Aesop stores, dangerous, but I’m sure would be totally worth it. 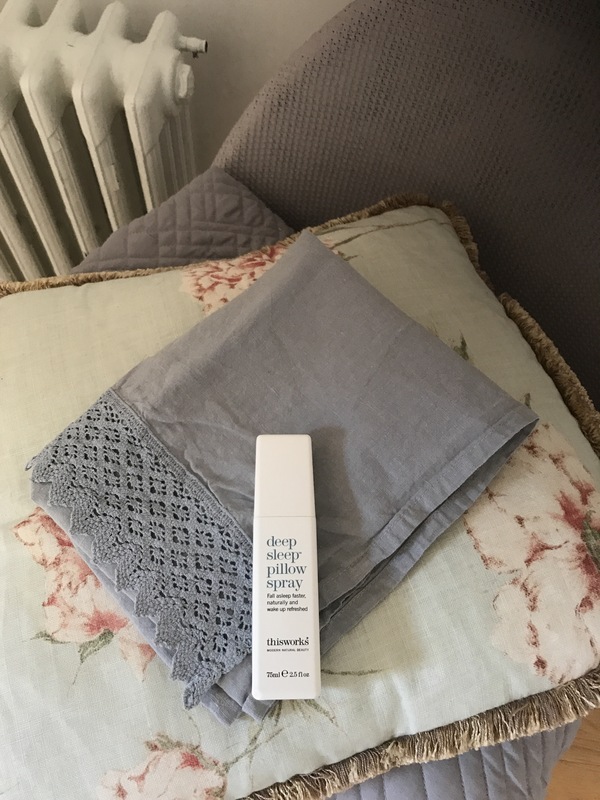 This Works Deep Sleep Pillow Spray. This is actually a little cheat, as I’ve been using this for a couple of months, but I have to say it’s role has changed. I can happily say I’ve got my sleep pattern back but back in February/March this was the complete opposite, spraying this all over my pillow the calming lavender and wild camomile really helped chill me out and helped me zen before ZZZ’s. Now I almost have it as an adult comforter if you will, I don’t really need it but it’s so good to just have it there on my pillow of a night, and also smells of the lavender hills of Provence and sleepy French holidays. Ahh delicious, just like summer! Being a slight product junkie, let me know what your favourite beauty products are at the moment? In the meantime enjoy the Beauty of May.